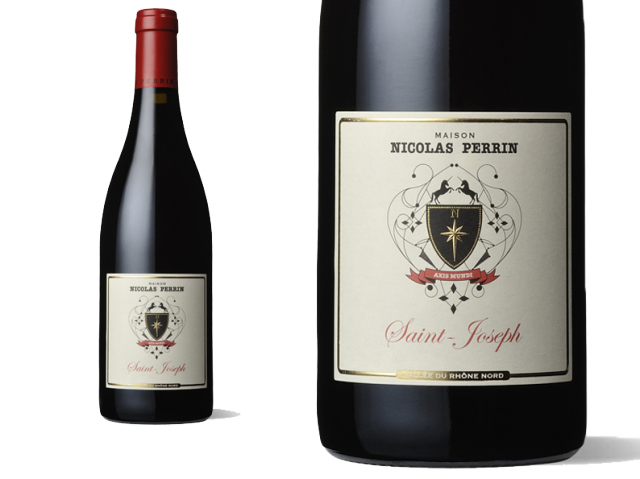 Impressive, the 2009 Maison Nicolas Perrin St. Joseph, 100% Syrah, delivers a serious bouquet of edgy black raspberry, cedar, licorice, Asian spice, and mineral to go with a full-bodied, beautifully proportioned and structured St. Joseph. Showing the fruit and structure of the vintage, with fantastic purity, ripe tannin, and integrated acidity, this knockout Syrah should not be missed by northern Rhône lovers. It should have upwards of a decade or more of prime drinking. Vivid ruby. Spice-accented red and dark berry aromas, with deeper notes of licorice and dark chocolate. Energetic black raspberry and cherry flavors stain the palate, offering a suave blend of richness and bright minerality. Becomes more floral with air and finishes on a smoky note, with resonating spiciness. Smooth, fresh and juicy with tangy acidity, bright black raspberry, wild cherry and pepper; deep and charming with style and finesse; a lovely wine from the Northern Rhône’s sleeper appellation. This sleek, alluring red delivers mouthwatering minerality from the start, cutting through the core of crushed fig, plum and blackberry fruit. The long, black olive-tinged finish brings you back for more. 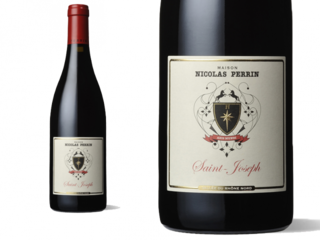 The bottled 2009s include the 2009 St.-Joseph, a softer wine with lots of jammy black cherry fruit intermixed with bouquet garni, damp earth and forest floor notes. Ripe, medium-bodied and seductive. Superbe d'équilibre et de gourmandise. Un vin sérieusement construit, profond et intense, notes de réglisse fumé de petites fleurs bleu, et une précision en bouche exemplaire.